Twenty-five classic and contemporary articles by Rudolf Carnap, Karl Popper, Carl Hempel, Wesley Salmon and many others provide accessible and stimulating reading in this growing field. 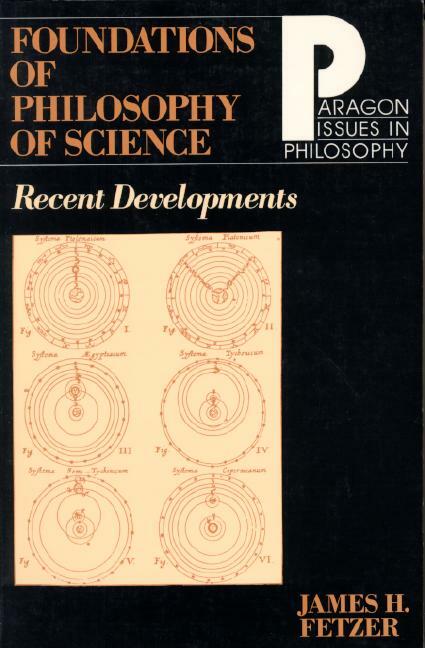 Organized to correspond to the companion volume, Philosophy of Science, these papers investigate the methods and goals of empirical science and explore connections between the history and philosophy of science. Review questions and an extensive bibliography make Foundations of Philosophy of Science useful as both a supplemental and independent text for courses in philosophy and the social sciences. THOMAS S. KUHN Logic of Discovery or Psychology of Research? JAMES H. FETZER is professor of philosophy at the University of Minnesota, Duluth. In addition to publishing over seventy articles and reviews, he is the author of Philosophy and Cognitive Science, 2nd edition (1996) and Philosophy of Science (1993), and co-author of the books, The Glossary of Epistemology/Philosophy of Science (with Robert Almeder) and The Glossary of Cognitive Science (with Charles Dunlop), all published by Paragon House.